The 8th annual Navigation & Survivorship Conference will welcome an estimated 900 oncology nurses and patient navigators this week in Orlando, Florida. Also in attendance will be representatives from The Mesothelioma Center at Asbestos.com’s medical outreach team, who will connect with nurses and navigators who regularly treat or work with mesothelioma patients. Medical liaison Jose Ortiz travels the country to meet mesothelioma specialists and network with other health care professionals who help patients affected by asbestos-related diseases. Ortiz will join Miller at the conference — held Nov. 16-19 at the JW Marriott, Grande Lakes resort in Orlando — in hopes of raising awareness of the many support services The Mesothelioma Center has to offer. The conference is the signature event of the year for the Academy of Oncology Nurse & Patient Navigators (AONN), the nation’s largest specialty organization dedicated to improving patient care and quality of life. AONN’s Navigation & Survivorship Conference gives nurses and patient navigators an opportunity to discuss the advancement of their profession in the ever-changing health care system. One of the highlights will be a keynote presentation from seven-time Olympic medalist Shannon Miller, who says the lessons she learned while training for gymnastics competitions helped her endure the rigors of cancer treatments. Miller was just 33 when she was diagnosed with ovarian cancer in the fall of 2010. Missy Miller hopes to attend that keynote, along with a tumor-specific navigation forum about thoracic cancers and a breakout session about immunotherapy — believed to be the future of mesothelioma treatment. 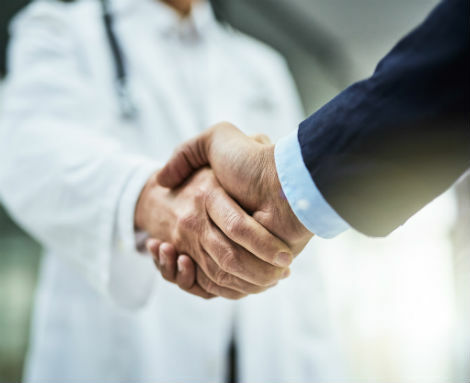 The conference will also give attendees the chance to meet with exhibitors to learn about products and services that may help them fulfill their mission of providing optimal patient care. Mesothelioma is a rare cancer, and finding specialized treatment programs can be difficult. The Navigation & Survivorship Conference also offers certification exams for oncology nurse navigators and oncology patient navigators. These accreditations are typically required to work as a navigator within the health care system. Navigators help guide cancer patients through and around barriers in the complex care system to help ensure a timely diagnosis and treatment. Similarly, Patient Advocates are committed to helping anyone affected by asbestos-related diseases. Because mesothelioma is so rare, many oncologists have never treated it. One of the most important steps after a mesothelioma diagnosis is finding an experienced team of specialists.